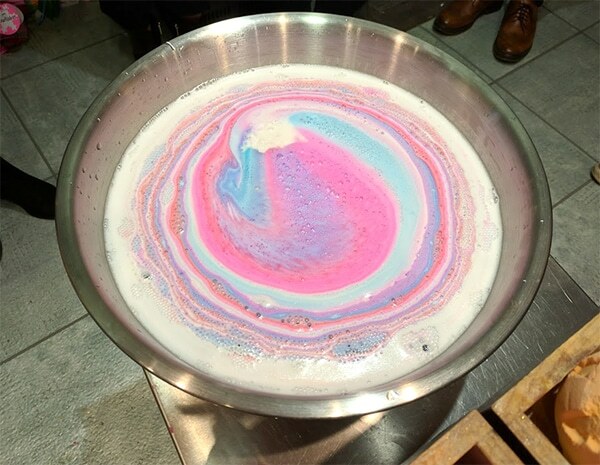 Ever since I was invited to the Lush event last year, it’s safe to say my opinion about Lush has definitely changed! I used to find there was too much choice, but now I know what I like and don’t like, I’m happy to spend a good half hour browsing for new products! 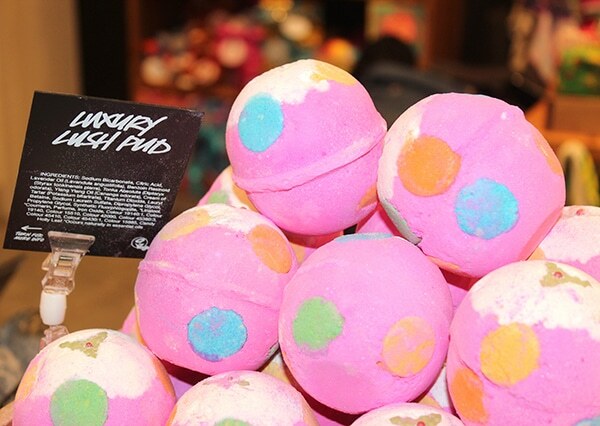 This year, Lush are focusing heavily on their naked campaign. No, it’s not a staff or customer naked shopping experience, it’s the products themselves. 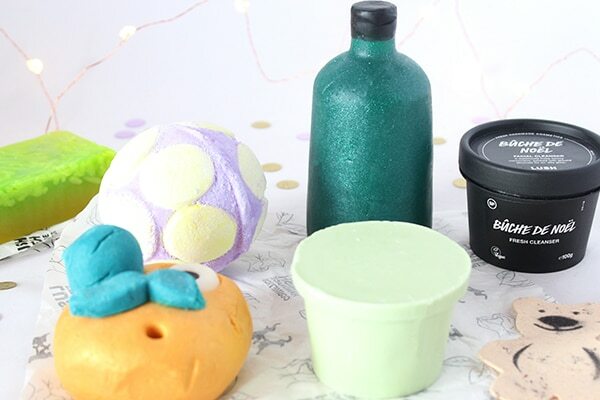 They want to get away from using plastic packaging as much as possible, so they’ve reinvented some of their much-loved products so they don’t need to be put into bottles or tubs. How bloody clever is that?! 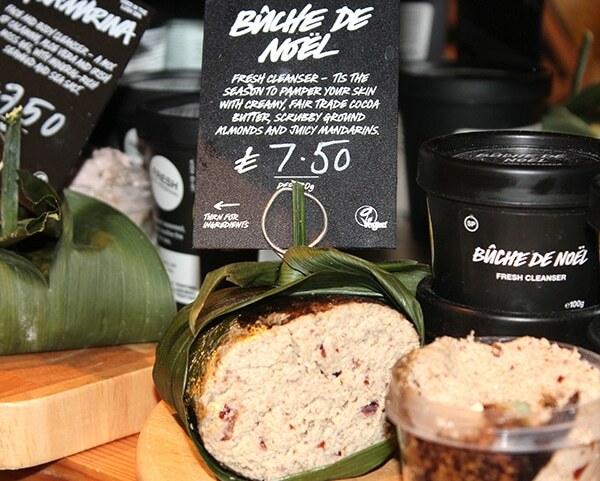 They also do naked body conditioners which are also to be used in the shower. Simply rub on to wet skin and rinse off, it’s really that simple. These are perfect if you’re like me and always scoop out way too much body lotion 😀 Plus as you’re doing it in the shower, you don’t have to dry yourself off and stand freezing cold while you’re trying to rub in lotion as quickly as possible!! There were also some products that I’d never seen before like the Tree-D bath melts and the Twilight and Snow Fairy sparkle jars!! 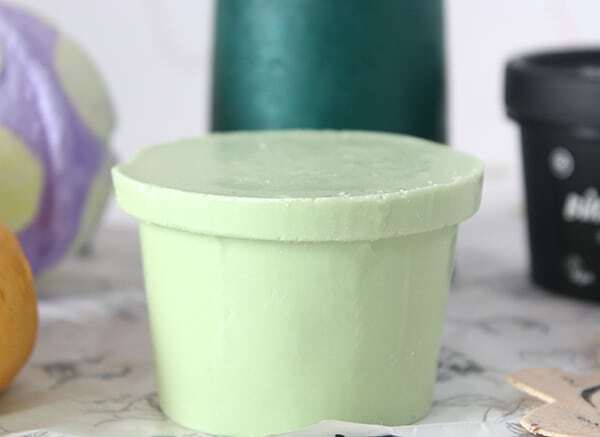 They’re made from cocoa butter and are designed to moisturise as well as offering a fab surprise! Unfortunately I was super tired by the end so headed off without buying anything 🙁 Very kindly though, we were given a bag full of goodies and I can’t wait to try them out! 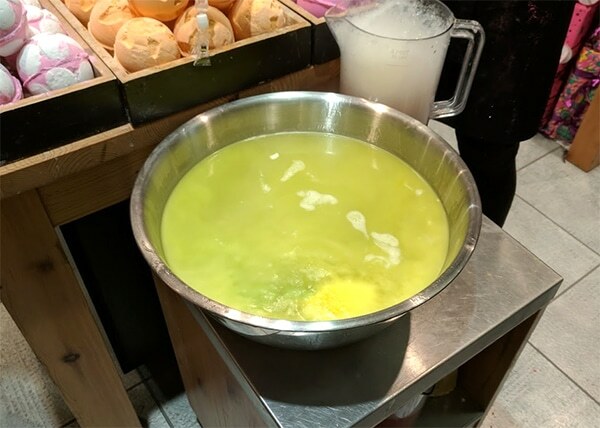 I got a Man In The Moon Bubble Bar, Butterbear washcard, Ectoplasm bath bomb, a piece of Christmas Citrus soap, Berry Berry Christmas naked shower gel and Once Upon a Time naked body lotion! 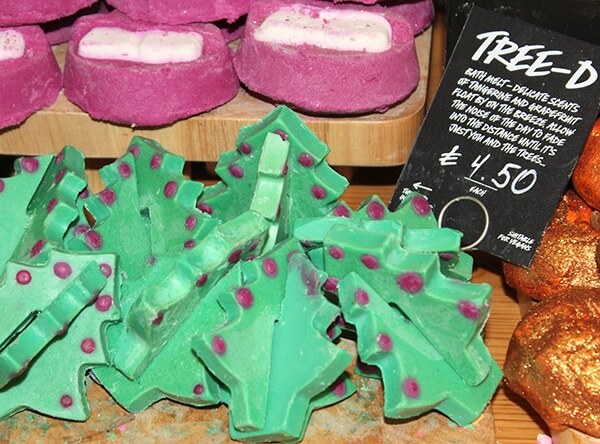 *I was invited by Lush in Crawley to the event but all views, and excitement for Christmas products, are my own. 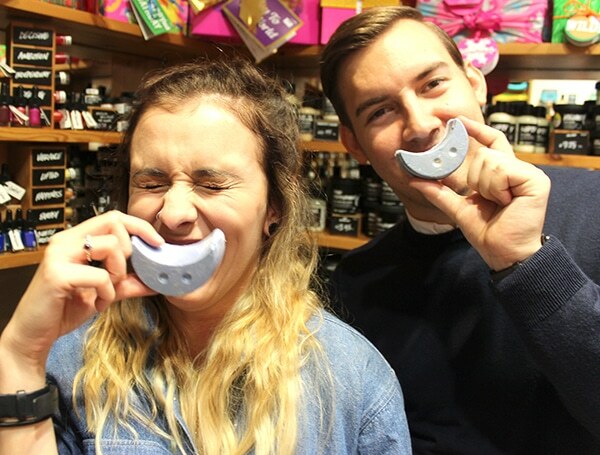 Looks like you had an amazing time, Lush have some gorgeous products at Christmas. 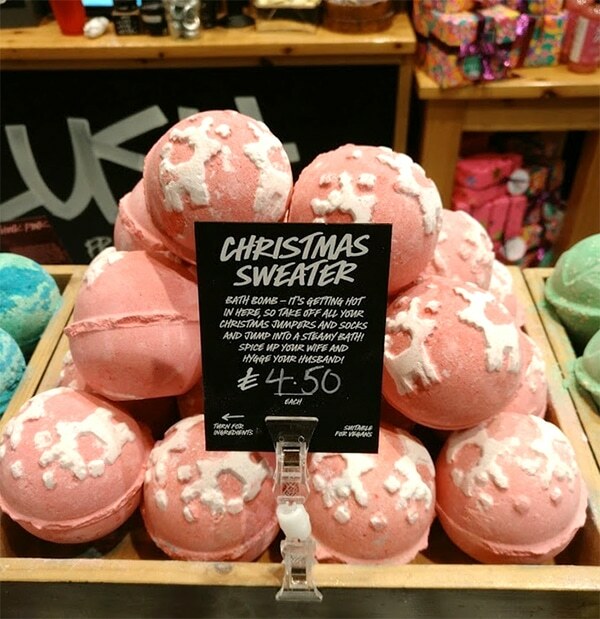 I’ve just done a haul and my favourites have to be Snow Fairy shower creme and the Christmas jumper bath bomb, although difficult to narrow it down. 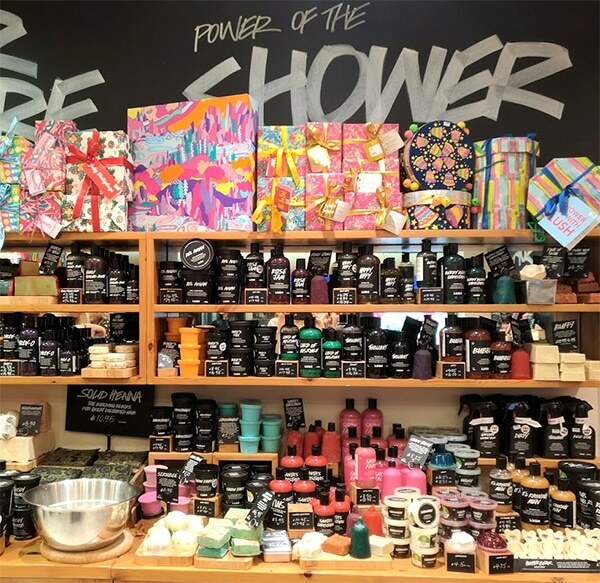 I love the idea of the Naked shower gels and body lotions. 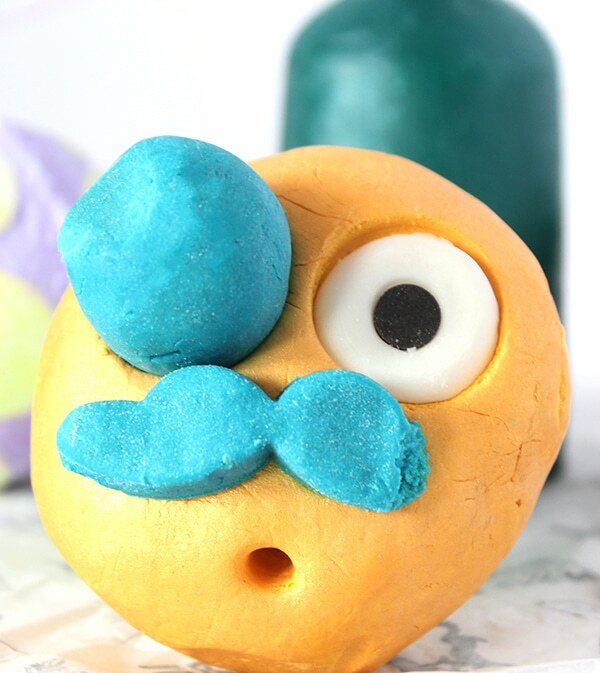 Man In The Moon bubble bar looks cute! 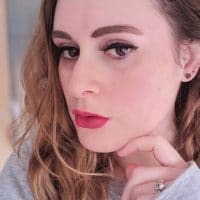 Their new naked products are so clever – I didn’t even think about the fact you could get away with taking these in your luggage as they are solid! Clever! 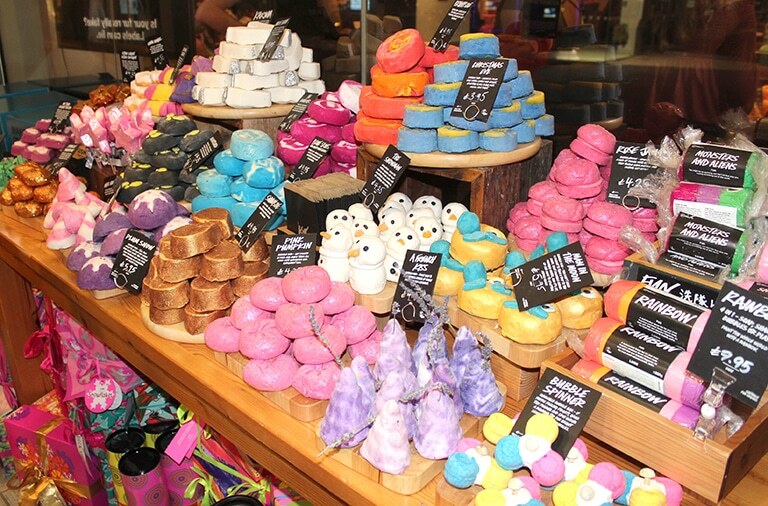 ah i didnt realise lush crawley had a blogger opening! its only 20 mins away from me, whenver i visit crawley i go in haha! 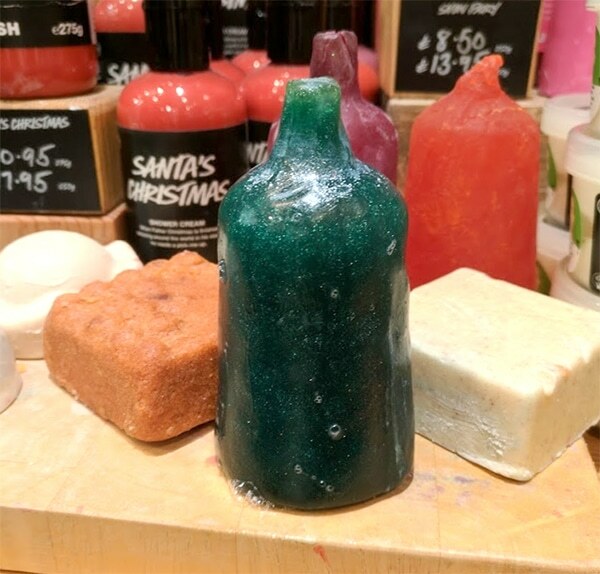 those shower gels in solid form are mesmerising…yes please!! and such a good and ethical idea too! Oooh that’s not far at all! !